Belt drives have contributed greatly to manufacturer goals of increasing efficiency and reliability, while lowering emissions; Rob Marshall looks at the claims made but also the opportunities they present to you. 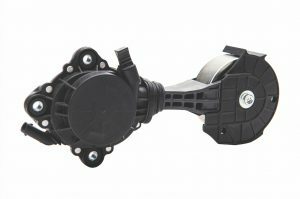 While some technicians may look upon them as being unnecessarily over-complicated, significant advances in belt- drive technology have led to an upsurge in durability, while permitting manufacturers to optimise under-bonnet space, reduce CO2 emissions and improve their fuel economy ratings. Today’s auxiliary belts drive a number of increasingly powerful components and their construction must permit them to transfer larger forces. Engine downsizing and Stop-Start have presented their own challenges to belt system designers, too. Increased service intervals have dictated not only physical design changes in the Front End Auxiliary Drive (FEAD) system but also complex advances within the belt’s make-up. Yet, auxiliary drives are not maintenance-free, even if some official service intervals omit their inclusion. Euro Car Parts, for example, highlights that many repairers neglect the system, meaning that they miss-out on a ‘relatively straightforward, but lucrative, revenue stream.’ This includes the simple task of checking the belt for excessive oscillation at idle speeds, to inspecting the belt more closely with the engine switched off. INA recommends that, unless there is a stated recommended belt/tensioner change interval, a good realistic standard is to check the belt and its driven components at 60,000 miles and change them at 90,000 miles. 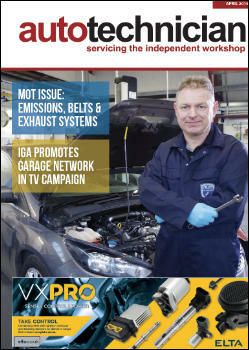 Dayco’s ‘check and change’ rule agrees that it is best practice to replace all of the drive system components together. This includes the belt, tensioners and any overrunning alternator pulleys/decouplers. 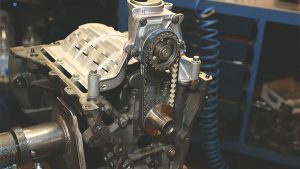 The toothed ‘timing’ belt became necessary mainly when overhead camshafts replaced overhead valve designs, one reason for which was that the distance between the crankshaft and camshaft sprockets had increased. The earliest most popular applications were not entirely successful, as red-faced car manufacturers decreased the in-service replacement interval, when the belt did not last as long as they had stated originally. While some manufacturers reverted back to chains, this was not entirely successful either and some models switched to replaceable belts again. been made internally, including to the cord, jacket and tooth profiles. 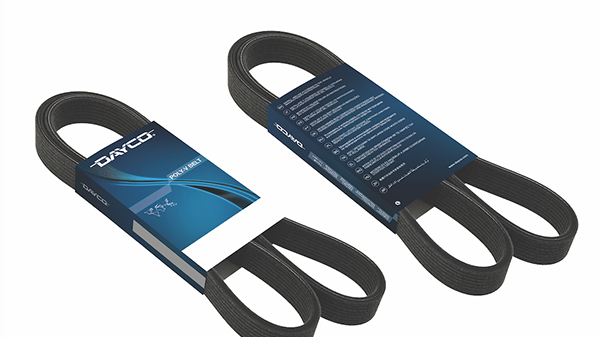 Dayco asserts that it manufactures all OE fitment High Tenacity Teflon (HT) timing belts and that the aftermarket trade is becoming familiar with them. The development arose mainly to increase running life but the hidden advantage is its ability to reduce friction, which holds a further emissions advantage for the carmaker. As with all belt types, change an HT belt with a like-for-like replacement. The company also reports that its HK belt range, introduced initially in 2017, brings the latest technological developments from the OE into the aftermarket as a means of upgrading older engines. As with dry timing belts, BiO types tend not to snap but their teeth can strip, the remnants from which travel around the engine and can cause further damage. Here, some are nestled within the 1.8-litre TDCI’s oil pump, which has had to be dismantled to fish them out. When servicing a car with BiO belts, check if any deposits that are drained out during an oil change are not fibrous belt teeth. 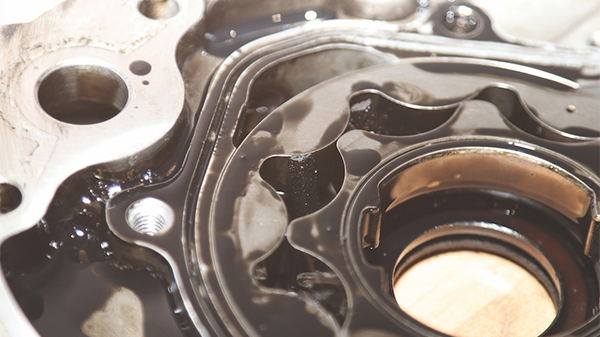 A recent phenomenon on downsized GDI engines, in particular, is the Belt in Oil (BiO) type that, as the name implies, runs inside the engine and is exposed to the engine oil. Pioneered by Dayco and introduced as a production first by the Ford Motor Company on the 1.8-litre ‘Lynx’ TDCI, to run the primary drive it replaced the earlier engines’ heavier and more costly Duplex chain, tensioner and cogs arrangement. Unlike the old chain drive, the belt requires periodic replacement and we have heard of customers instructing garages to convert their newer engines back to the older and less efficient chain design. However, the BiO system has been critical in assisting manufacturers to attain mandatory emissions targets. Ford rolled-out BiO systems on its all-new 1.0-litre ‘Fox’ Ecoboost engine and PSA, Honda and the Volkswagen Group followed suit. Early press reports claimed that Ford stated its BiO belts in the Fox engine would last for the lifetime of the car but this depends on the definition of ‘lifetime’. Neglect will reduce the quoted lifespan in the real world, as will skipped lubricant changes and incorrect oil being used, which manufacturers tend not to envisage. Unsurprisingly, history seems to be repeating itself, where manufacturer claims seem to be a little short of the mark in the real world and so it has become necessary to offer replacement BiO kits to the aftermarket. 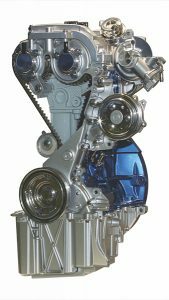 Gates comments that many engines are approaching their expected lifecycle limits and that BiO belt replacement is emerging as a workshop opportunity as owners wish to extend the lifespan of their cars. The company has announced its intentions to expand its BiO catalogue throughout this year for both timing and oil pump belt drives, focussing mainly on Ford and Volkswagen Group models. To reduce emissions further, car manufacturers work with their supplier partners to engineer ever-more ingenious systems, all of which require real-world checks and maintenance. The on-demand water pump, fitted to various Prince-engined petrol MINIs, BMWs and PSA brands for example, circulates coolant only once the engine reaches predetermined temperatures. As the pump is powered by a friction wheel that is driven permanently by the reverse side of an auxiliary belt, a special fabric must be used. An alternative belt may fit physically but its longevity would be compromised if a like-for-like replacement is not used. This is why quality suppliers will insist on vehicle-specific belts, while encouraging garages to resist adopting a ‘that’ll do’ approach. Many downsized engines possess BiO oil pump drives. Do not neglect to replace these when installing a BiO timing belt or rebuilding the engine. Another example is combined starter/alternators that depend on a belt drive. Dayco reported that, to develop a belt that could tolerate the increased stresses on it during the starting phase would have dictated that it had to be double the width, which was not feasible. It said that developing a belt of a conventional width was, therefore, ‘extremely difficult to achieve’ and highlights that fitting a replacement conventional belt that lacks the necessary OE quality of the original would not be a fit-for-purpose repair.